Forego the traditional fly and flop for a romantic couples' retreat that features a timber lodge, Finnish sauna, and all the privacy and quiet you'll need to recover after the wedding. These are truly transporting honeymoon packages, customised by our team of Finland holiday experts to meet your unique needs. 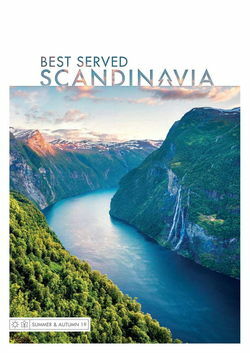 Remember, the itineraries we display here are just a sample of the sorts of holiday you can enjoy with Best Served Scandinavia. 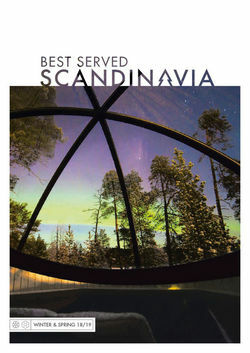 Call us today to begin planning your honeymoon to Finland, and design a honeymoon that's just right for you. 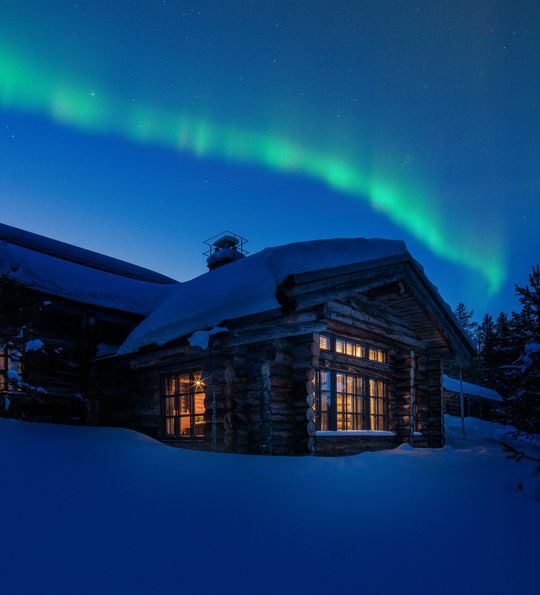 If you’re looking at a winter honeymoon, there’s little more picturesque than Finnish Lapland. Here, you’ll spend your days exploring pristine snowy fields dotted with pines – the foreground to impressive peaks – before returning to the crackling fires of your log cabin. Helsinki is an attractive city with plenty of culinary, artistic and design merits to keep any culture aficionado entertained, and we recommend making a stop there for at least a few days during your Finnish holiday. From frozen hotels to spa resorts, Finland has something for everyone. Of course – this being Scandinavia – you’ll be able to stay in a hotel constructed entirely out of ice. Going one step further, Finland has its very own Snow Village where artist-wrought snow rooms feature carefully lit reliefs and sculptures. You’ll also find two restaurants serving up traditional treats along with the Ice Bar where cocktails are chilled to perfection in glasses of ice. If you’re looking for something more traditional, Hotel & Spa Resort Järvisydän comprises a selection of stone villas and cottages in idyllic Finnish Lakeland. 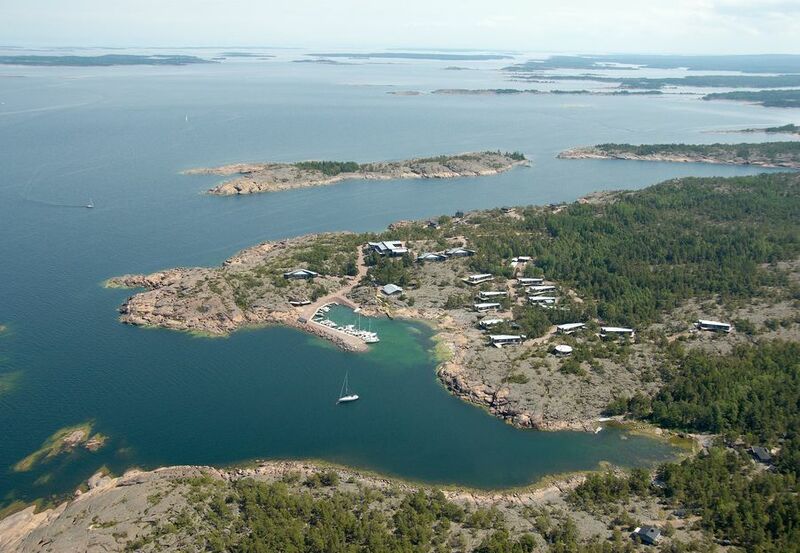 Rooms feature private saunas and Jacuzzi tubs and look out over the waters of Lake Saimaa. Dine by candle light on Finnish delicacies as the roaring fire keeps things cosy. But, if you’re after something particularly special, look to the L7 Luxury Lodge. Host to only seven log-cabin-style suites, its full-board dining is superb, the roaring fire sublime and the afternoon teas complimentary. You’ll also return to Jacuzzi soaks under the Northern Lights or Midnight Sun, after exploring the Lapland wilderness on snowmobiles and husky sleds. Otherwise, for something unique, consider the Arctic TreeHouse Hotel. Here, stilted, fire-heated cabins look out over an old-growth forest, taking in the views from giant floor-to-ceiling windows. Of course, there’s all sorts of outdoors fun to be had. Share an intimate experience of the Northern Lights – a dazzling spectacle that can fill whole skyscapes with its reaching tendrils. 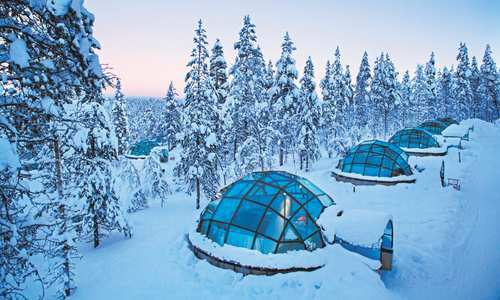 Look to north Finland in the winter for the best views, perhaps combining it with a stay in a glass igloo for a mix of luxury and the natural. Of course, winter brings with it a whole host of activities to make your honeymoon unforgettable. Learn the sport of dogsledding after meeting your friendly team of huskies or head out into the wilderness on a snowmobile excursion for stunning winter vistas.